TinyChat is a free service that allows you to create a free disposable chat room that is accessible by anyone with a browser. Simply create a chatroom from the homepage then send the link it gives to you to anyone you want to chat with. After you leave the chat room, all the chat data is gone, so its perfect for secure chats. 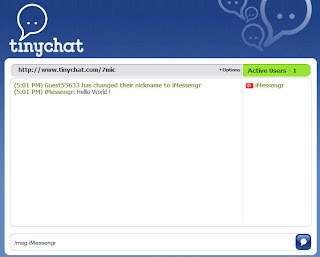 TinyChat lets you can change your nickname, save chat log and add chat room to your website.